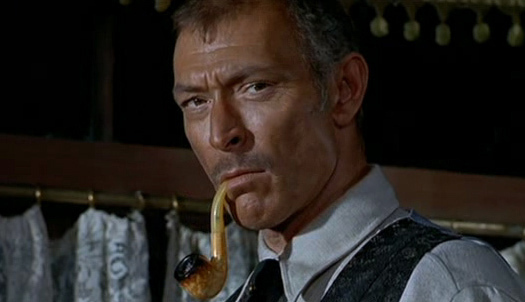 In the movie For a Few Dollars More, Colonel Douglas Mortimer (Lee Van Cleef) is frequently seen smoking a bent Meerschaum which has stunning Patina and amber coloured, lucite stem. Copies of these pipes have been attempted in the past, made form often lower grade Meerschaum blocks. These are produced by Ramazan Bağlan, master carver for over 30 years. Ramazan only works with the finest Sarisu meerschaum, the most prized from the Eskisehir area. and over time will colour from the shank towards the bowl. The Lucite stem is fitted with a long screw tenon which should be fitted and removed slowly, with care. Even though Sarisu is the most versatile and durable Meerschaum it is still brittle. Supplied in hand made hard case, ideal for storage and keeping the pipe clean and safe, while smoking away from home.